Updated shipping information for IDW Publishing comics and products being released beyond the week of 04/17/2019, provided by Diamond Distribution and our friends at Things From Another World. This work is licensed under the Creative Commons Attribution-Noncommercial-Share Alike 3.0 United States License, and is © 1995-2019 Charles LePage. Remember, when you order any of these titles, whether here or at your local comic book shop, NOW instead of waiting closer to the release date, you save money AND you save the time of hunting down the issue after it sells out. 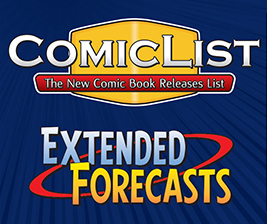 To find a local comic book shop, please browse The Master List of Comic Book & Trading Card Stores.